A lot of people out there have been complaining about the fact that Twitter’s dark mode is not all that great. Indeed, the fact of the matter is that Twitter’s dark mode isn’t even black. Rather, it gives you a blue tinge that does help you use the phone a little more actively in the dark but is not nearly as good as some of the other dark modes that we have been seeing recently all of which tend to be black in color since this is the color that will end up giving you the most in terms of night time usability. The ironic thing is that Twitter is the very entity that first introduced night mode back in 2016. This night mode has become quite popular for a wide variety of reasons, including the fact that it helps you save a fair amount of battery since the dark mode or night mode does not require as much illumination as other modes tend to thereby allowing you to use your phone for extended periods of time. Dark mode also facilitates extended use because of the fact that it allows you to look at your phone for longer without straining your eyes, something that the bright colors of the regular modes that you could potentially use would definitely end up doing over a period of time. However, in spite of the fact that Twitter started the night mode craze which has spread to so many other apps, it has the worst night mode of them all. 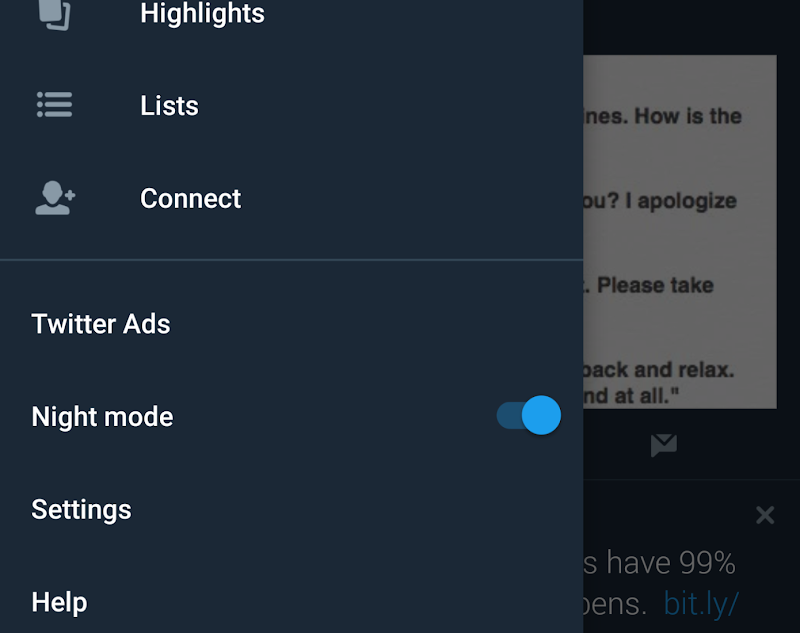 However, Twitter has promised to make changes to their dark mode and basically make it darker than it might have seemed originally. This is definitely going to be a big help to people that use the social media platform.